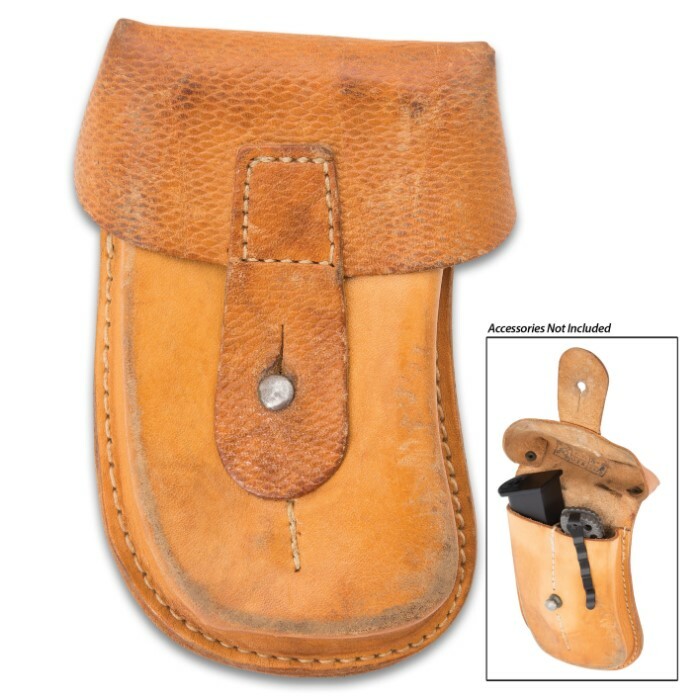 Czech Army Scorpion Submachine Magazine Pouch - Genuine Military Surplus; Used, Excellent Condition - Heavy Duty Genuine Leather | BUDK.com - Knives & Swords At The Lowest Prices! Issued to Czech Army troops to transport magazines for the legendary Scorpion submachine gun, our genuine military surplus leather mag pouches still have a lot of life left in them! 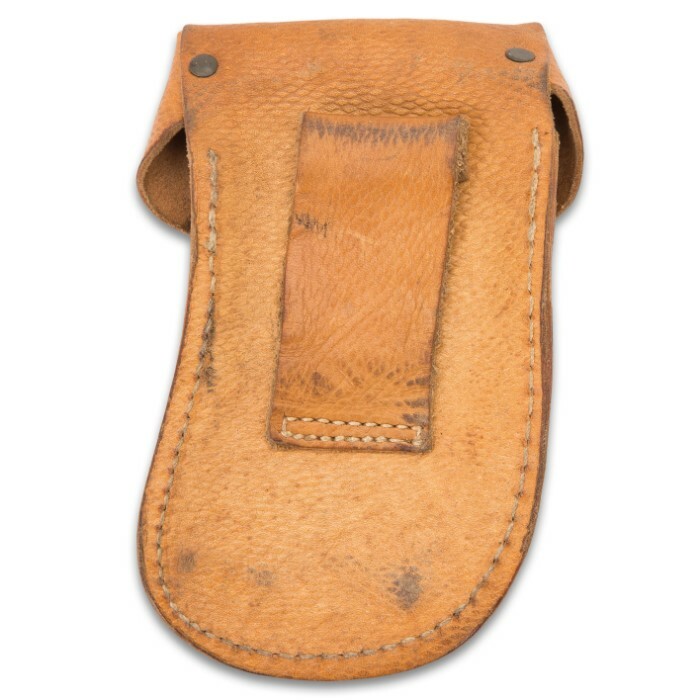 Made of rugged, extra-tough genuine leather with metal flap closures, these pouches boast strength, resilience and construction quality rarely seen on the civilian market. Yet they cost far less than even most economy grade ammo pouches. Get yours before our limited supply runs out! Use them to stow extra magazines for easy access and protection from the elements in the field; fits Scorpion mags and numerous other magazine calibers / types. 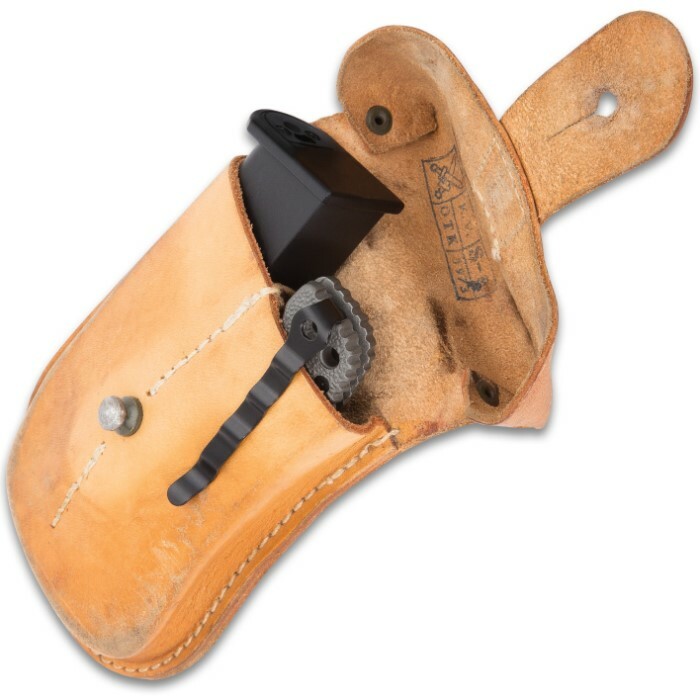 Also great for countless other applications - holding scientific instruments for field biologists, flies for fly fishermen, tackle for anglers, shotshells, rifle cartridges and other loose ammo...the list goes on!